According to the American Kennel Club, the Lhasa Apso was traditionally bred as a guard dog for palaces and monasteries in the Himalayan mountains. Today, we characterize the Lhasa Apso not as a palace dog, but as a family companion. Their independent nature and comfort with being alone makes them a great dog breed for people who work. However, their independent nature also makes them extremely stubborn, so training can be difficult. Overall, this breed is confident, comical, and playful — the perfect addition to any busy household! Basset Hounds are perfect for people with busy work schedules because they are big couch potatoes! These lovable dogs don’t require rigorous exercise and spend most of the day sleeping. For that reason, Basset Hounds are prone to obesity, so their Guardians must walk them daily. Not only are Basset Hounds great for people who work all day, they also make fantastic pets for families with kids and other pets. With their big brown eyes and easy-going personality, the Basset Hound makes the perfect companion. Whenever you’re home, your Frenchie will want your attention! 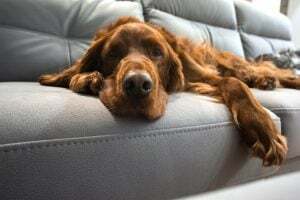 However, they are also content with napping throughout the day when you are away at work, which makes them a fantastic dog breed for people who work. The French Bulldog is a great fit for apartment dwellers because they tend to bark much less than other small breeds. Make sure that when you leave for work, your Frenchie is cool and comfortable, as this dog struggles to breathe in hot and humid environments. The Miniature Schnauzer is a wonderful dog breed for people who work all day. They are playful, affectionate, and their high level of intelligence makes them quick learners! Although Miniature Schnauzers are sweet to their owners, they are natural guard dogs and distrustful of strangers. Expect them to bark at every person who comes to your door! These little ones are full of energy, and require walks and play time as soon as you get home, but they are perfectly happy being alone all day – as long as you give them lots of toys. The Chihuahua may be the world’s smallest dog, but they have the biggest personality! Chihuahuas are cute, cuddly, and make extremely loyal pets. This breed requires minimal grooming and exercise, so they make great low-maintenance pets for apartment dwellers and first-time dog owners. 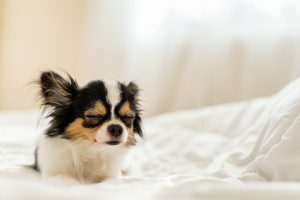 This breed tends to suffer from separation anxiety, so it may be best to get your Chihuahua a friend to play with during the day. Another strategy is to give your Chihuahua a good walk before you go to work so that they will sleep while you’re away. For more information on Chihuahuas, check out our blog all about the breed. 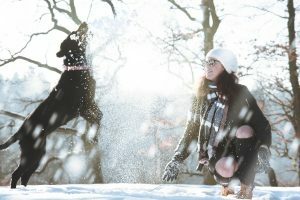 Most pet owners are aware of the health risks that come with hot weather, but what about cold weather? Winter brings a new set of environmental challenges for pets. As a responsible pet owner, you should know these essential winter pet safety tips. Salting sidewalks, driveways, and roads prevents slipping and sliding for humans. However, prolonged contact with road salt wreaks havoc on paws. The salt causes irritation, discomfort, and even burns unless quickly washed off the skin. Pet owners can avoid this problem by applying a balm or putting booties on their dog’s paws. This winter safety tip will keep your pup happy and allow you both to enjoy the winter weather! If it’s too cold for you to be outside, it’s definitely too cold for your pets! 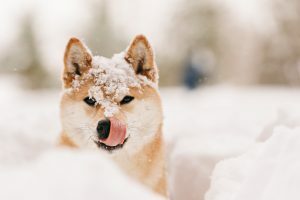 Despite the fact that dogs and cats have fur, they are as susceptible to frostbite and hypothermia as humans. No pet should be left outside for long periods of time in below-freezing weather. On a chilly day, your pet is happiest snuggled up right next to you! Before starting your engine in the morning, remember this winter pet safety tip! A warm vehicle engine attracts cats looking for a heated place to rest. To avoid causing potential harm, be sure to bang on the hood of your car to discourage any roosting kitties. This is our most important winter pet safety tip! Be sure to clean up any antifreeze that has spilled from your vehicle. Cats and dogs are attracted to antifreeze because it is sweet to the taste, but it is extremely poisonous. Consider switching to propylene glycol, which is less toxic than ethylene glycol. Additionally, knowing the symptoms of antifreeze poisoning may save your pet’s life. Dressing your pet in a cute outfit is not only adorable but also functional! Pets with shorter hair can lose warmth faster when exposed to cold weather. Dog sweaters and coats provide warmth and fight off the winter chill. Dress your pet in a dry coat or sweater each time you take them out to prevent them from catching a chill! Because of their high intelligence, hypoallergenic fur, and fun personality, poodles have become a popular breed choice for families. Keep reading to learn all about the poodle breed! The poodle makes a fun-loving, affectionate, and active addition to any home. They are a smart breed, eager to please, which makes them highly trainable and excellent at canine sports. These dogs love to stay close to their families, and are always up for a game! However, they do get bored easily. So, make sure that your canine companion receives plenty of playtime. Poodles come in three sizes: Standard, Miniature, and Toy. Although all three sizes exhibit friendly, energetic personalities, they have their differences. Specifically, the Standard Poodle requires the most exercise and thrives in a large household with lots of children. On the other hand, Toy Poodles make better apartment pets and are susceptible to injury from small children. If you plan on adopting a poodle, consider their size to choose the right breed for your lifestyle! Despite their regal appearance and proud personality, poodles are far from prissy! According to Dogtime.com, the poodle breed was used in Germany as a water retriever, and in France as a duck hunter. Even their stylish coats have a practical purpose! They protect them from getting snagged underwater and keep them warm. This breed is athletic, fun, and not afraid to get a little dirty! Most poodles live long, happy lives. However, like any breed of dog, they can experience certain health issues. Hip dysplasia, epilepsy, and hypothyroidism are all common in poodles. As with their personality, size can make a difference in health issues. Toys and Miniatures are at greater risk for joint-related issues. 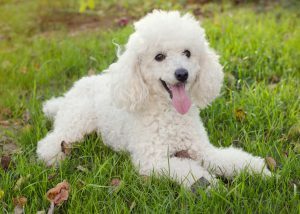 Standard poodles, however, are more likely to experience bloat, or GDV, a big-dog health concern. Keep your pet healthy by feeding them high-quality dog food and taking them for daily walks. This breed’s beautiful coat requires daily brushing to prevent matting. Therefore, most poodle owners prefer to keep their pet’s coat trimmed shorter. For baths, nail care, and general grooming, professionals advise owners to take their dog to the groomer every four to six weeks. Don’t let their grooming needs scare you off! Poodles make great family pets and are one of the funniest dog breeds in the Animal Kingdom. 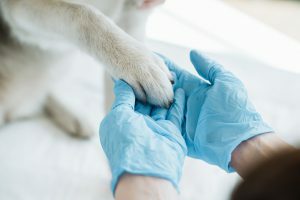 One of the most common questions new pet owners ask is, “Do I need pet insurance?” The answer is not a simple ‘yes’ or ‘no.’ In deciding whether or not you need pet insurance, consider the following factors. Pet insurance can offset some of the expense of diagnosing and treating illnesses your pet may face down the road. But it comes at a cost. 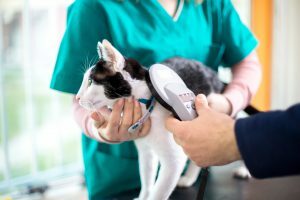 In general, the cost of veterinary care has risen in recent years due to advancements in technology. So, although it can be expensive, having insurance can help save your pet’s life. Your are the person responsible for any vet bills your pet’s care might incur. So, think carefully about what an unexpected trip to the vet might mean to your finances. 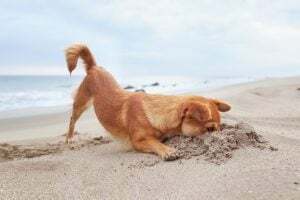 Before settling on a pet insurance provider, make sure you understand what their insurance covers and what it doesn’t. Most providers cover hereditary conditions, such as elbow and hip dysplasia, diabetes, and thyroid conditions. Some will also cover unidentified issues that don’t necessarily have a diagnosis. While each provider is different, most do not cover pre-existing conditions. You usually have to enroll before your pet is of senior age, as well. Unfortunately, not all pet insurance companies provide insurance for every dog breed. 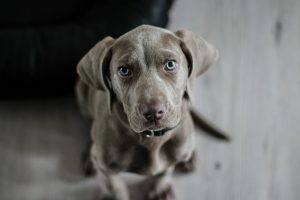 Some insurance companies do not extend coverage to Pit Bull Terriers, Staffordshire Terriers, German Shepherds, Akitas, Doberman Pinschers, or Rottweilers, to name a few. If you have one of these dog breeds, don’t worry. There are some more inclusive options out there! But you may find that securing insurance for those breeds is a bit more expensive than it is for others. So, do I need pet insurance? 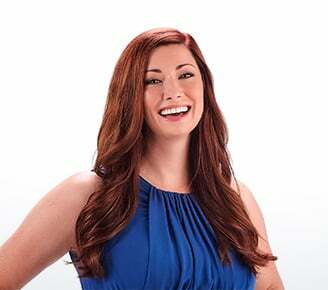 At the end of the day, whether or not to get pet insurance is highly is highly specific to you and your situation. If you’re in the market for affordable pet insurance that offers comprehensive coverage, check out our partners at Trupanion. Every Get Your Pet adoption package includes a certificate for 30 days’ pet insurance from Trupanion (offer varies in California). The new year marks an opportunity for change, and not just for humans! Early January is the perfect time to fulfill our promises to our pets. 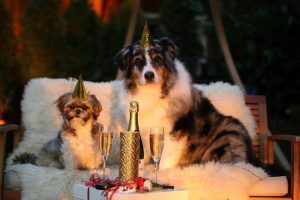 Here are a few New Year’s pet resolutions to make sure that 2019 is a fantastic year! A great (and fun) New Year’s pet resolution is making time to play with your furry friend! Playing with your cat or dog is an excellent way to bond. Cats love the thrill of chasing laser toys and pouncing on bounce toys. For their part, dogs love running after frisbees and playing tug of war! Plus, increasing play time with your pets has the benefit of keeping them active! 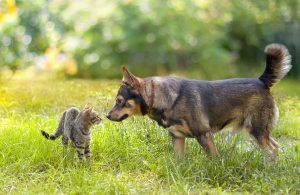 Playing can be a great form of physical exercise for both cats and dogs. So, try to incorporate at least an hour of playtime into each day to make sure your pet is entertained and getting enough exercise. 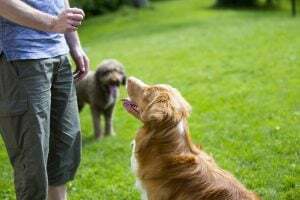 According to the Association for Pet Obesity Prevention, roughly 56 percent of dogs and 60 percent of cats in the United States are overweight or obese. Excessive weight gain in pets can cause many health problems such as heart disease and decreased life expectancy. Often, we overfeed when we “eyeball” the amount of food we give. To combat this, a good New Year’s pet resolution is to measure out the amount of food you give your pet. This will ensure that your pet is getting the correct amount of calories. Speaking of keeping your pet healthy, a great New Year’s pet resolution is to maintain an oral hygiene schedule. Like humans, pets need their teeth brushed between professional cleanings. You can improve the length and quality of your pet’s life with good dental hygiene. For this reason, be sure to take your pets to their vet for an annual cleaning this year. Regular grooming is essential for a healthy and happy pet. Pets love the attention, which makes it a an excellent way to strengthen your bond. Additionally, regular brushing brings excessive fur, dirt, and oil away from the skin. This feels amazing for your pet! Above all, daily grooming prevents matting, which can cause pain and infection. A consistent grooming schedule will help your pet feel (and look) their best. Love your pet! Take the time to give your dog or cat the love that they need. Pets spend their lives entirely devoted to their owners. We are their world! So, do something kind for your pet. This could mean getting them a new toy, buying their favorite treat, or even just giving them some extra cuddles. Our pets certainly deserve it.